Nnamdi Kanu, leader of the Indigenous People of Biafra (IPOB) has over and over made a claim that the current Nigeria President is Jibrin. And he stands to prove it over that the man parading himself in Aso Rock is not Buhari but Jibrin from Sudan. Photos have emerged online as posted by Facebook user backing Nnamdi Kanu’s claim of fake Buhari in Nigeria. Read below and see photos as compared. 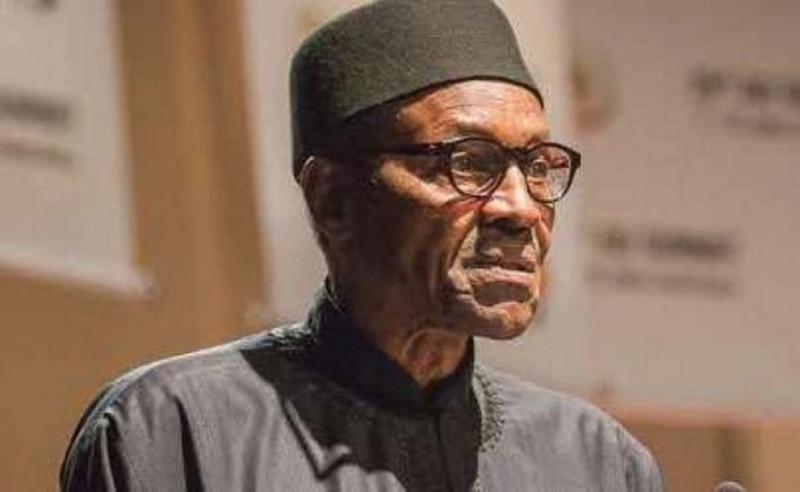 “This is the latest picture of Aminu Jibril a.k.a President Muhammadu Buhari of Daura Katsina State released to the public by the Cabal and published by the slightly credible Vanguard Newspapers. 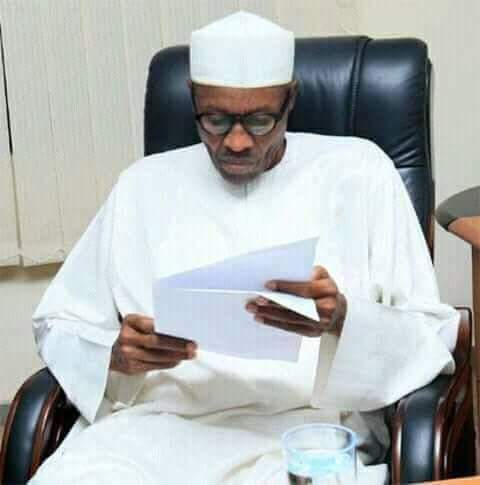 It’s meant to show the world that Buhari can indeed read a letter written in English during the Eid celebrations. What the cabal teleguiding Jibril, sorry Buhari, never imagined is that make up sometimes fail and not bound to be 100% exact all the time. The question I want to ask is this, does this human being in this photo look like the dead Buhari to you? The Buhari we all know!